We believe in great customer service and always try that little bit harder to make our services better. While Freedom Airport Service is mostly known for providing its clients with fast, efficient, comfortable, and safe transportation between airports and cruise ports within the London area, it also provides one of the best tours London has to offer. Whether you have extra time to kill between airport transfers or are arriving in London for a business conference and have a chance to see the sights, Freedom Airport Service can accommodate you with a full tour of historic sites, monuments, and other places of interest. 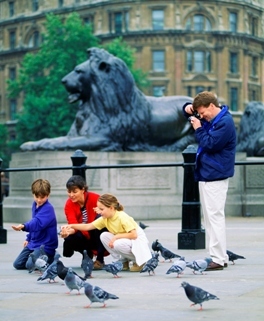 Here, we’ll go over some of the various aspects of the Freedom London tours service. While there are other tours of the city, none of them can match the comfort and style of riding in a BMW 3 Series or Mercedes E Class driven by your own highly trained and experienced personal chauffeur. Whether you are visiting London on family holidays or attending a business meeting yourself or with a group, or if you are providing the service for an important guest (such as a company superior), then giving them one of the best tours London can provide is a great way to show them you care. Freedom Airport Service not only provides transportation on a flat rate (such as for direct airport transfers), but allows clients to commission vehicles on an hourly, daily, or even weekly basis. Suppose you are attending a business convention in the London area, and not only require transportation from the airport to a hotel, and then from the hotel to the convention centre, but you also want to have the option of doing a little exploring around London in your free time to see the many sights that London has to offer. Such as “The London Eye”, “The Houses of Parliament”, “St. Pauls Cathedral”, “Tower Bridge”, “Buckingham Palace”. Freedom Airport Service allows you to use the same transportation service for getting to and from the airport to get around town throughout your stay, increasing the level of convenience to you. Aside from the regular benefits you receive, Freedom Airport Service also provides a number of additional complementary services. These include free sixty minutes of waiting for meet and greet services at Airports, which begins after your plane lands, allowing you plenty of time to exit and make your way to the gate. You also receive free flight monitoring, so in the event your flight is delayed or cancelled, you can reschedule your transportation service at no extra charge. We believe in great customer service and always try that little bit harder to make the service that they offer, the best around.